Good mask option for girls and guys with problem skin. Doesn‘t clean out my pores. Beauté Pacifique Deep Pore Cleansing Mask is a white creamy clay mask that gives you fresh looking skin after use. It has a mild fruity scent which is nice and understated. It apparently has a unisex appeal as my boyfriend has used up half the tube! 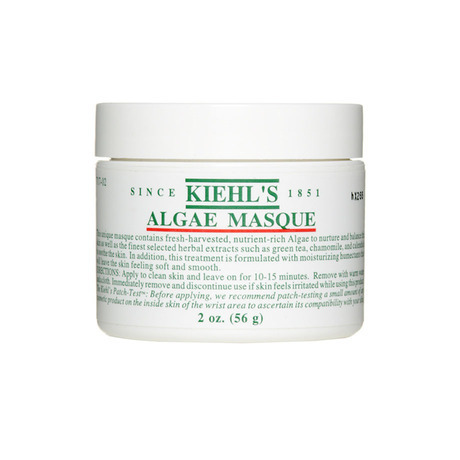 As for deep pore cleansing, I haven’t ever found clay masks particularly ground breaking, and this one isn’t either. They just can’t do the same as scrubs or medical products but they can reduce shine and astringe pore-size. This one has an added calming cooling effect on the skin which feels great, and isn’t too drying unlike many clay masks. I also like the fact that it’s white so it doesn’t make a huge mess around the sink when I splash it off. The mask isn’t too harsh on sensitive or acne-prone skin, so it’s also a good home-spa option for delicate winter skin. March 23, 2015 March 15, 2015 | Anna M.
How to participate: Leave a comment on this post with your e-mail address or your Twitter handle (pssst… it’s a plus if you “like” us on Facebook or tweet about us). Emma S. is a Swedish skincare brand with focus on quality. They believe that skincare should be simple, effective and give visible results. All of their products are free from parabens and mineral oils. The winner will be announced in the commentary field to this post. Remember that likes and posts on Facebook, some tweets or perhaps something third to get you noticed is always good if you want to win. This is just a small tip to increase your chances. Good luck! March 16, 2015 March 17, 2015 | Anna M.
We’re ready for the second of three giveaways! Once more, you can win an energizing oxygen facial mask from Emma S. worth €38. We like this brand a lot. We give out a facial mask to a lucky reader every Monday, for three Mondays. This is only the second Monday, so even if you don’t win today, you still have another shot next Monday! How to participate: Leave a comment on this post with your e-mail address or your Twitter handle (pssst… it’s a plus if you “like” us on Facebook or tweet about us). The winner will be contacted by email or twitter. The competition is open internationally. The Ageless Oxygen Mask is supposedly enegizing and rehydrating. It enriches the skin with moisture and oxygen. The oxygen helps skin cell rejuvenation so that the skin will feel softer and smoother. The skin will get a more even appearance and feel energized. (Okay, so the above is what Emma S. says about the mask. We are currently testing it to check out whether it’s true or not, so we can’t promise anything). March 9, 2015 March 10, 2015 | Anna M.
It’s giveaway-time! 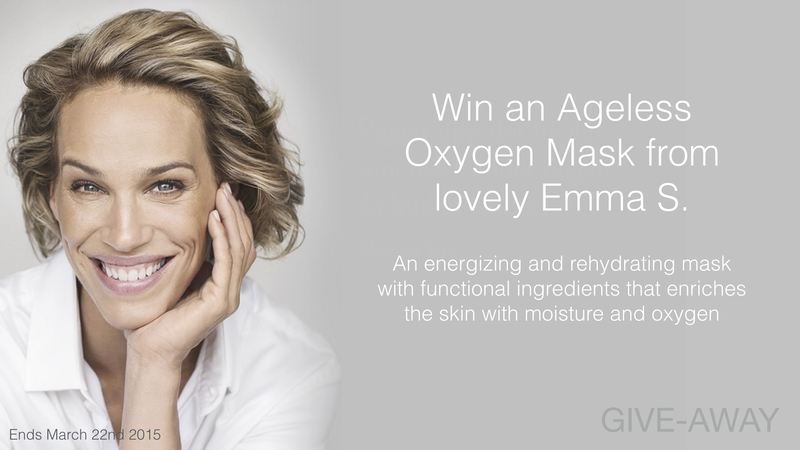 Win an energizing oxygen facial mask from Emma S. worth €38. We give out a facial mask to a lucky reader every Monday, for three Mondays. Starting today! Good luck to each and every one of you!